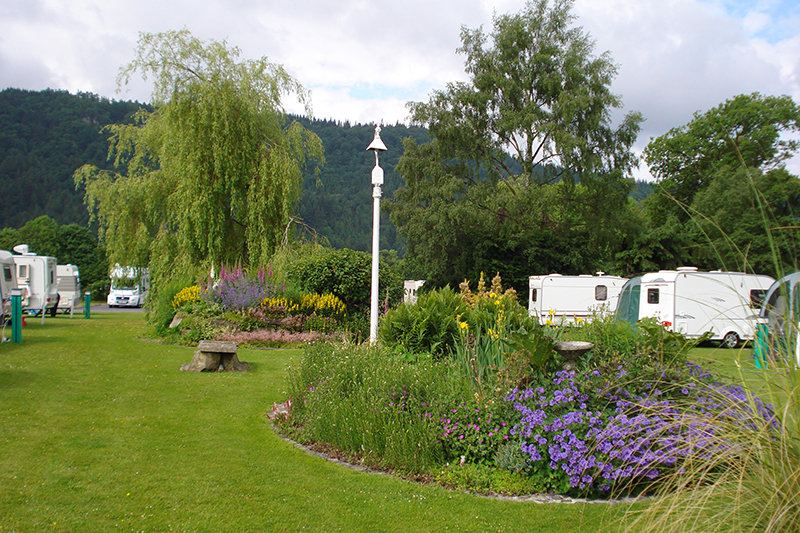 Flowering features abound, exotic looking plants grow between the pitches, flowers grow from every crevice, wall, and fixture, and the whole place looks like a garden with a few motorhomes and caravans dotted about to break up the planting scheme – rather than the other way round. 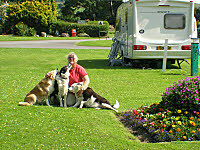 It's little wonder that for 26 years the campsite has been a winner in the Wales in Bloom contest. 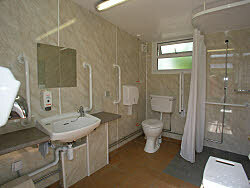 Facilities are clean and tidy, and everything on site is immaculate. 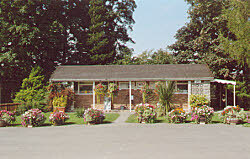 The historic market town of Llanrwst is just a short stroll from the site with its famous bridge and the pretty tea house Ty Hwnt i’r Bont , originally a court house, is a must to partake of home-made scones and cakes. 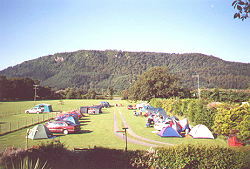 Llanrwst is the gateway to the Snowdonia National Park and the big bold landscape of Snowdonia is right on the doorstep, a mecca for walkers and ramblers. Betws-y-Coed is just four miles to the south with an abundance of forest trails to explore and shops to spend your money and time. Eight miles away is the world famous National Trust Bodnant Garden at Tal-y-cafn which is magnificent. It is particularly beautiful in the spring, when the azaleas and rhododendrons are in flower. 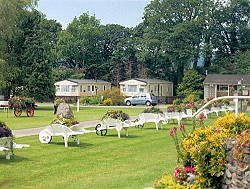 Should the relaxing ambience of the site not suffice then nearby Conwy ten miles, with its castle and ancient walls to tread, will make a good day out, along with Llandudno the lovely seaside town fifteen miles away. 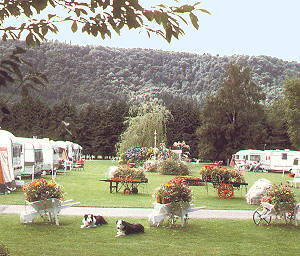 There are plenty of things to keep you occupied in this charming area of North Wales and there aren’t many better sites for your stay than Bodnant Caravan Park.